You must be a member of the Aarhus Outdoors Group to attend this activity. Would you like to join this group? In our modern fast paced lives, many of us feel overwhelmed, stressed and experience moments of isolation, detachment from our core values and purpose, each other and our environment. This walk is a small step aiming to change this imbalance. I invite you to leave the buzz behind in order to recharge, reconnect, to find renewed energy, the inner peace, and confidence to cope with the daily challenges. 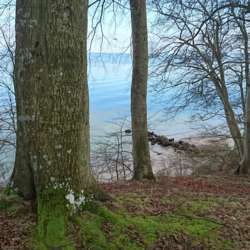 Give yourself some quality time together with fellow like-minded walkers surrounded by Aarhus most scenic landscape. The walk: a rather ordinary walk spiced with some mindful exercises. Practicalities: comfortable shoes, appropriate clothes corresponding to the weather conditions, evt, rain clothes. Bring a sandwich and a warm drink or water. Looking much forward to seeing you all.